Chefs are taking to Instagram to connect with diners in ways like never before. But as top spots move away from understatement and diners reach for phones before forks, is it ruining the restaurant experience or simply reaching an audience who care more about likes than Michelin stars? We spoke with some of Instagram’s cult chefs to find out how the platform is transforming going out for dinner. At the back end of last year, the Rouxs banned diners from taking pictures in the dining room of their flagship restaurant, The Waterside Inn, arguing that the Instagramming of food was spoiling the dining experience. 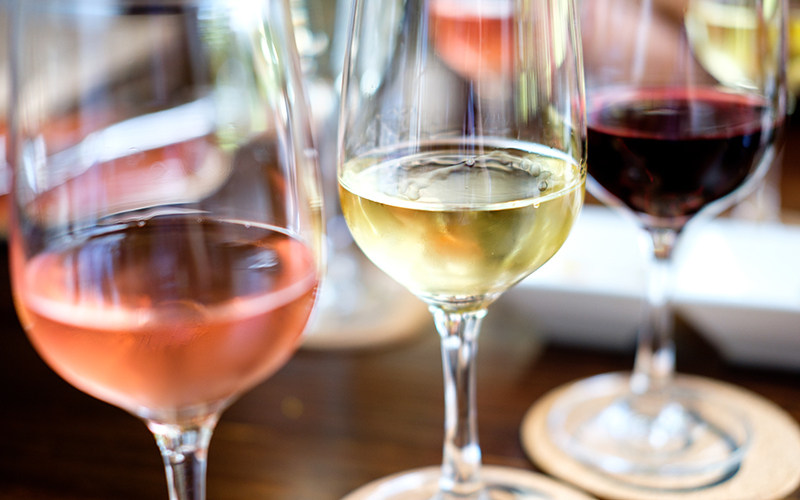 Though the move had precedent — a handful of notable restaurants in the US and France had previously taken similar steps — it seemed a strange one nonetheless. While some of the old guard rail against the invasive nature of photo sharing apps, many of their peers have already embraced it and are reaping the rewards. Not only do many top chefs enjoy follower counts in the tens of thousands, but they are revelling in the interactive possibilities it offers – and making the Rouxs of this world look like King Canutes trying to push back the tide in the process. Take Calum Franklin; his posts, typically of elaborate pies and pastries, regularly achieve thousands of likes and dozens of comments. Back in the real world, this equates to a steady stream of bookings at his restaurant, Holborn Dining Room. “I definitely see an impact on the business, we have reservations made daily off the back of Instagram — guests often tell us that,” he explains. 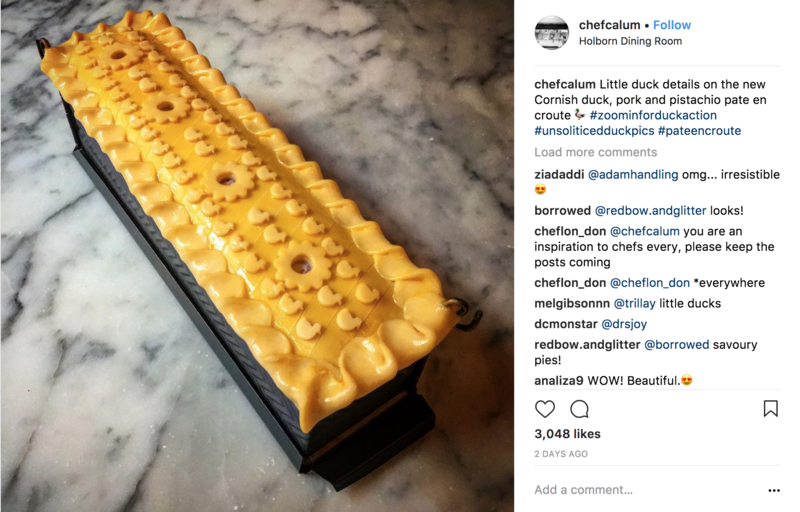 With bookings up for grabs, more and more chefs are following Calum’s lead and signing up to Instagram to promote themselves and their restaurants. But with this comes increased competition; our feeds now offer an endless scroll of overhead breakfast scenes, manicured patisseries and drool-worthy burgers. Surely it’s difficult to stand out? “Most people in the UK like pies so that’s an advantage,” says Calum of his own feed. “But also they’re a very tasty canvas to create something really visually beautiful with as well. 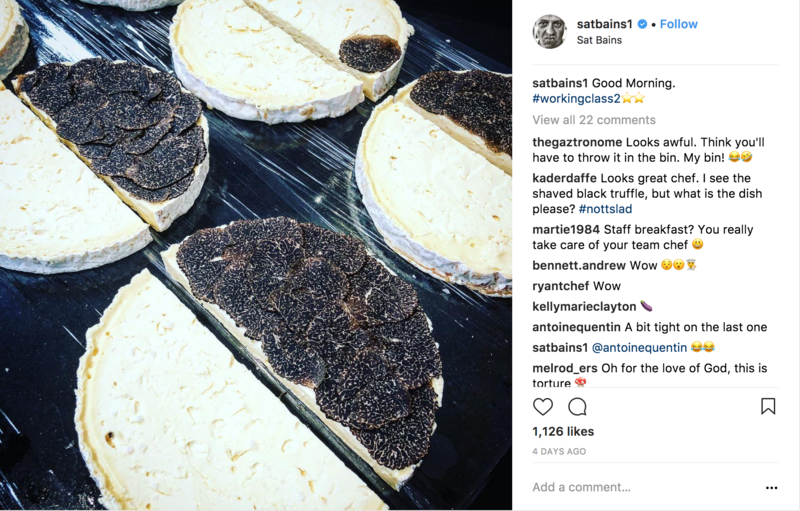 While Calum may not consciously target Instagrammers, the influence of the social media platform on London’s food and drink scene is there for all to see; it’s the latte stencils used by your local coffee shop, the “Press for Champagne” buttons at Bob Bob Ricard, the toilet pods at Sketch. Instagram is not only changing the way we document food but the way we consume it, too. 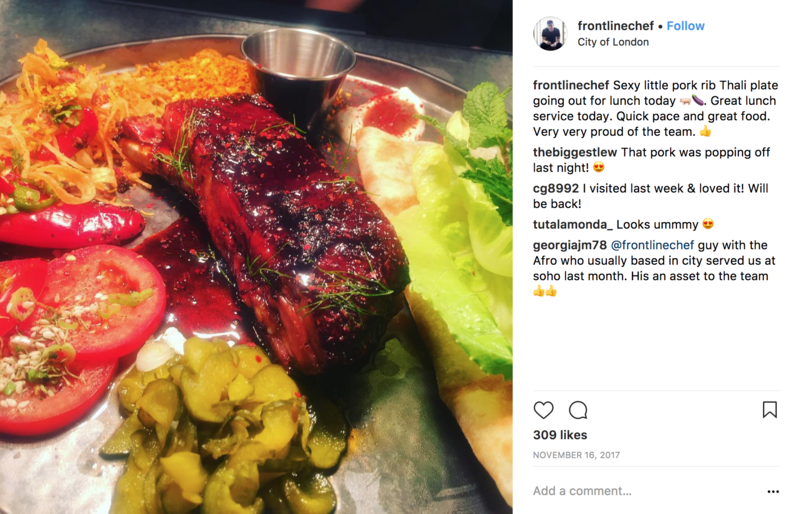 Hence, whether by accident or design, many of London’s most talked-about dishes seem to be tailor-made for Instagram. Some — Meat Fruit at Dinner by Heston, for example — come with a quirky social media-friendly backstory; others showcase the technical mastery of the chef, the buns at Bao. And then there are those that simply look bloody tasty, the Parmesan fries at Luca, perhaps, or Temper’s side of beef fat potatoes with Ogleshield cheese. Whereas five, maybe ten years ago London’s top restaurants dealt in elegance and understatement, now the emphasis is on statement dishes that mirror the cultish, must-try appeal of street food. From haute to hot, you might say. With presentation key, even seemingly minor details such as getting the right tableware (think earthenware plates, embossed coasters and pristine glassware) have become essential for the would-be Chef Instagrammer. After all, there are not just your immediate diners to impress but potentially millions of others online. But is it all style over substance? Chef Tom Brown doesn’t think so. 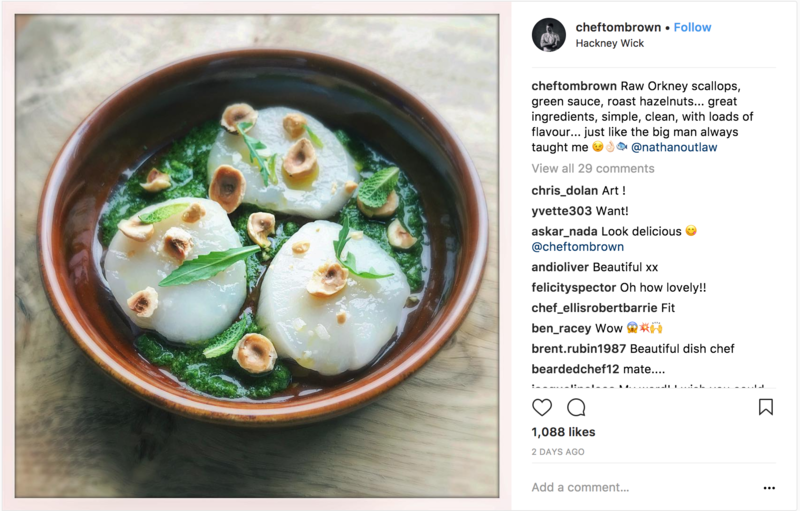 After racking up 20,000-plus followers while Head Chef at Outlaw’s at The Capital, he is set to open his first solo restaurant in Hackney Wick next month. Coupled with his supreme talent, social media has helped him find his audience and convinced others in the industry that he is worth backing. Tom has a totally different style to Calum; his dishes look deceptively simple and are pared back to three or four hero ingredients. Which goes to show that despite the emergence of a distinct Instagram look, there is still room for individual styles to flourish. Nevertheless, both chefs share the view that Instagram should never interfere with the dish development process. 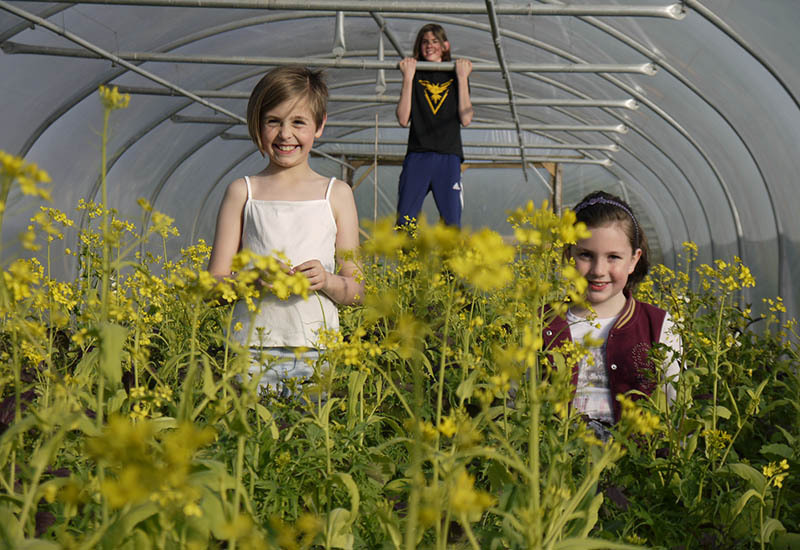 Photo sharing sites may have changed the way chefs present, style and photograph their food, but for the likes of Tom and Calum, flavour remains the ultimate objective. Nathan Outlaw’s protege has a brilliant eye for presentation and the Cornish chef is a master of the overhead shot. 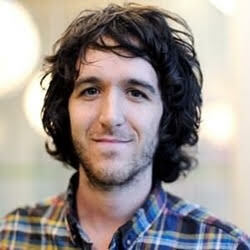 Look out for his upcoming restaurant, Cornerstone, which is already creating plenty of buzz. Follow for: Stunning seafood dishes. 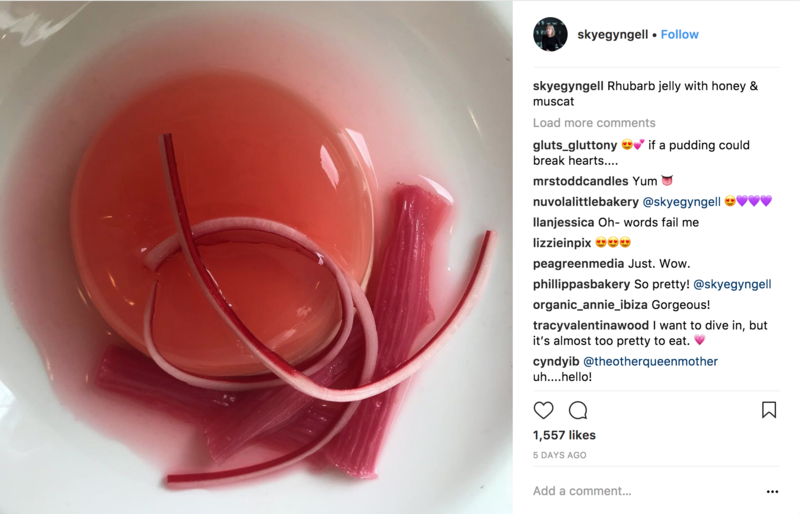 This Australian chef treats her twenty thousand-following to gorgeous shots of produce and dishes from her Central London restaurant, Spring. As ever with Skye Gyngell, it all looks and feels perfectly natural. Follow for: Food with feeling. Calum Franklin’s brilliantly creative pies and pastries have to be seen to be believed. The best part? After drooling over them you can taste them for yourself at his restaurant, Holborn Dining Room. Follow for: Next-level pastry work. Sat Bains is culinary royalty, having earned two Michelin stars for his eponymous Nottingham restaurant. His Insta is testament to his immense talent – and a constant source of inspiration for ambitious home cooks and young chefs alike. Follow for: Gastronomic wizardry from one of the world’s best chefs. 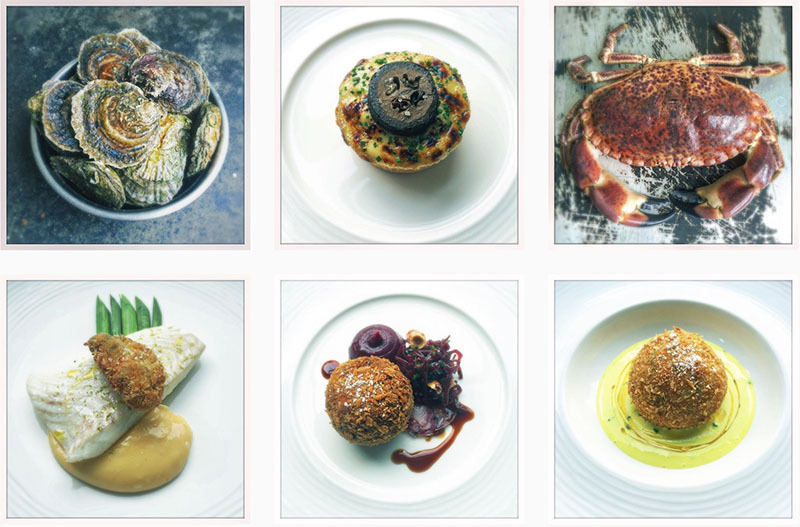 Instagram was made for chefs like Neil Rankin, whose fiery cooking (and character) have made him a “must follow” for London’s epicurean folk. Oh, and his two-site restaurant, Temper, is pretty special, too. Follow for: Rants, bantz and shots of sizzling meats. Fancy a bite out? Head to London’s best sustainable and cosy pubs. Feel like staying in? 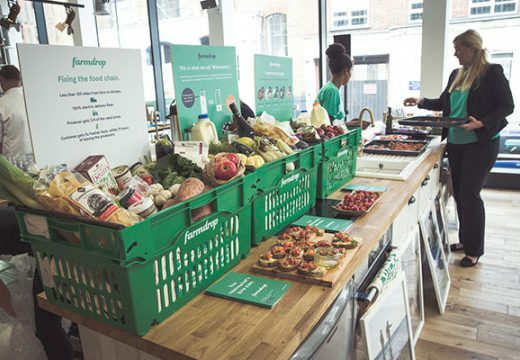 Try Bristol Lido chef Freddie Bird’s and cook once, eat all week slow-cooked beef recipe.